I knew this day was coming, but I didn’t think it would get here so quickly. My oldest daughter, Olivia, is leaving for university in a matter of weeks. It’s bittersweet. On the one hand, I’m happy to see her growing up and pursuing her dreams. Alternatively, I’m really going to miss her and worry about her being ok. I want to make sure she is equipped with everything she’ll need to succeed away from home. I have a little care package of products that will come in handy. Here’s a few of the things I’m sending. Laundry supplies. I want to keep laundry as simple as possible so I’m sending her with the new Arm & Hammer™ Plus OxiClean™ 3-in-1 Power Paks. It tackles tough stains and doesn’t require any measuring or scooping. It’s also budget-friendly which is very important with the amount school costs these days. Condoms. Safety first. It can be an uncomfortable topic to discuss, but it’s a necessary conversation to have. A recent study found that only 51% of post-secondary students reported using a condom. Eek. Buy a few packages of Trojan™ condoms for just in case and put them in his or her suitcase. Dry Shampoo. Olivia uses Batiste Dry Shampoo, the world’s #1 dry shampoo, at home so I know she’ll need more for when she is away. It instantly refreshes your hair between washes without using any water. It absorbs excess oil from the roots leaving hair clean and fresh looking. I’ll be sending her with the new Batiste Dry Shampoo Heavenly Volume that also adds extra bounce to your hair. The day she’s leaving is fast approaching so I’m busy trying to get everything together for her. It’s one less thing I’ll need to worry about when she is away! Do you have a child heading to college or university in the fall? Our older child, our daughter, heads off to University for the first time on Labour Day. It hardly seems possible, but there you go. It’s going to be a tough day for us, but we are so proud of how far she has come so far. My oldest granddaughter is going to college this year to take a dental course. My son was a don during his sophmore year. 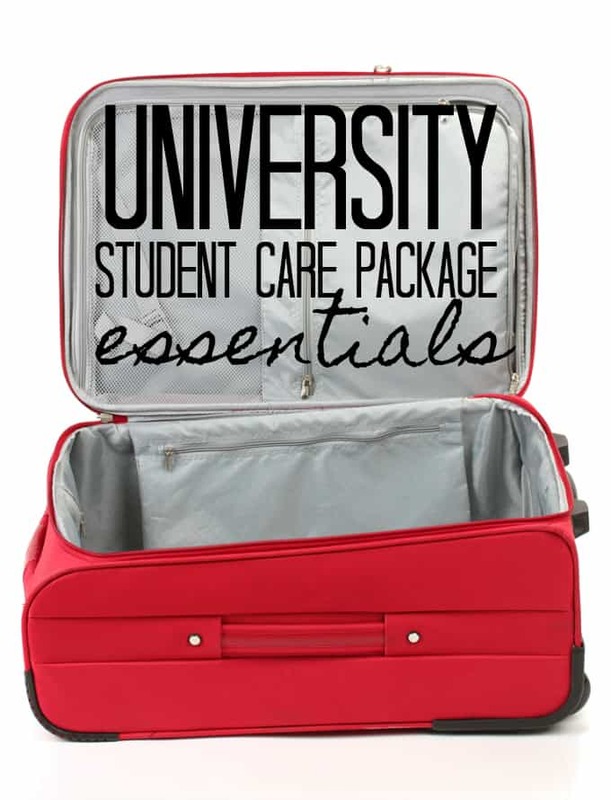 He commented that students were always coming to him for Tylenol or Advil or bandaids – remember to pack those items too. What is your Daughter going to study? Check out Shad for brilliant Youth leaders. For Grades 10 to 12. They should form a group for Momd: whose young Adults leave for School. Thanks! She’s going to Western University. I remember when my niece was going to school and I did a Rubbermaid gift basket for her, so she would have what she needed. I remember her telling me that she didn’t think she was going to need everything but later she admitted that there wasn’t one thing that she didn’t use. Some must haves here, thanks!